“ArcGIS Online was a powerful tool to help my students understand what questions they needed to ask before conducting their research because, in the end, it was their research that informed their opinions,” Neil said. 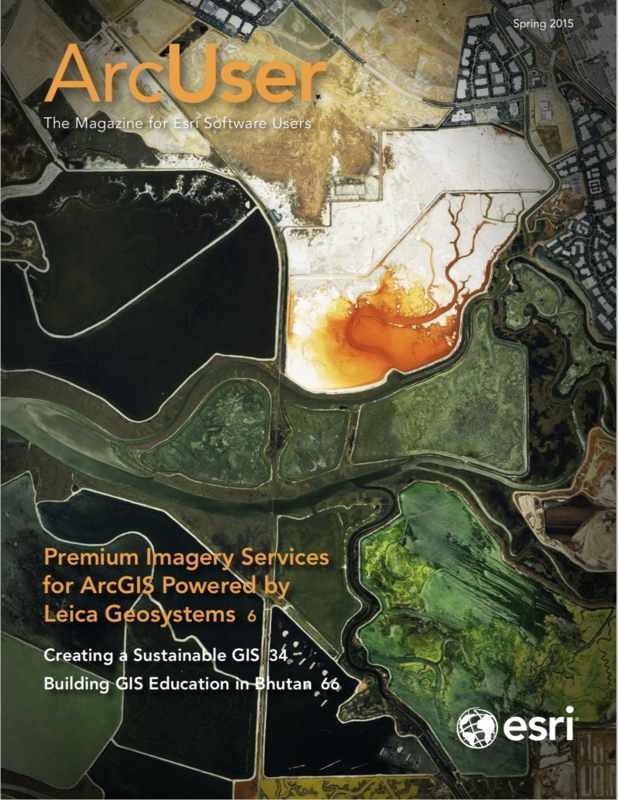 As part of Esri Canada’s GIS in Education Grant, Connect Charter School was given a school-wide subscription to ArcGIS Online at no cost. Each student received an individual login to the school’s subscription to create, save, and share maps using personal laptops. Since ArcGIS Online is a hosted solution in Esri’s secure cloud, installing software on each student’s machine was not necessary. Neil had no previous formal training using ArcGIS Online, so he contacted Esri Canada’s Education and Research group to take advantage of its training resources and integrated the platform’s features into his lesson plan. The students used Esri’s ArcGIS Online as a mapping, research, design, and information management tool to study the project so they could then decide whether or not to approve of the pipeline’s construction. After formulating questions about the NGP to frame their research, Neil’s students worked in groups to learn how to plot the pipeline’s proposed route using ArcGIS Online. The students worked independently to delineate their own study areas. Each student was responsible for studying the potential social and environmental impacts of the NGP within their study area. 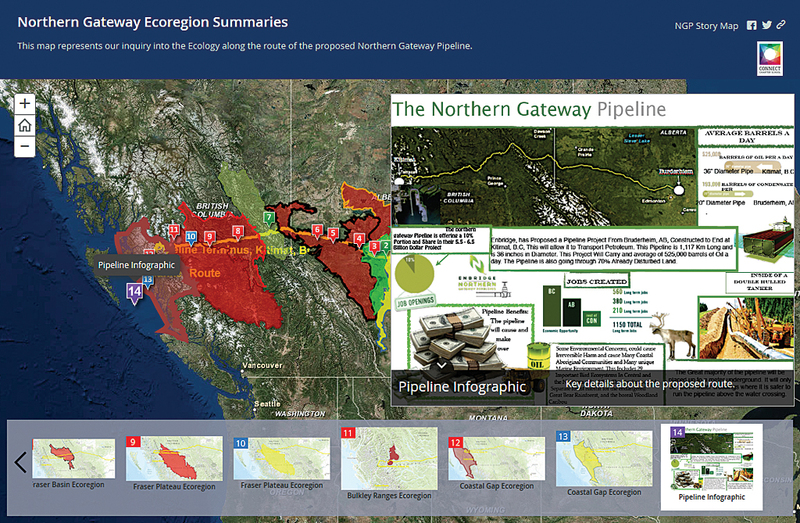 Using the Esri Story Map template, the class created Northern Gateway Ecoregion Summaries, an interactive Story Map that summarized each group’s final decision. Students said the online GIS technology made learning the project’s subject matter more interesting and authentic. The students’ opinions about the pipeline shifted quite a bit during the course of the mapping project, according to Neil. Many started out favoring the pipeline but ended up opposing it. But many others who had started out against it supported it in the end. “It really depended a lot on the specific regions they researched and the impacts the pipeline might have in those regions,” Neil said. The innovative class project won a City of Calgary Mayor’s Environmental Expo award in 2014. In a postproject survey, the 30 students unanimously agreed that ArcGIS Online was a useful learning tool.